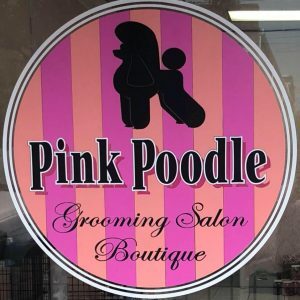 February 12 @7:00 PM Pink Poodle is hosting a Doodle Class! This event is pre-booking only!!! There is only room for 10 people, so hurry! This class is for people with Poodles, Doodles, or any other breed that you want to keep fluffy, not shaved. You can have any age dog. The class will include one Chris Christensen Big G slicker brush, metal comb, brushing spray ($95 value) and the knowledge of how to use them! The class will last about 2 hours. There will be light refreshments and an open discussion of many products and techniques for your benefit. The cost of the class is $125 per person. You can book over the phone with your credit card. Call 478-251-1384.